Potatoes are such a versatile ingredient to work with. From making Fries, patties, hash browns to making Pav Bhaji, you can adapt this crop to whatever catches your fancy. 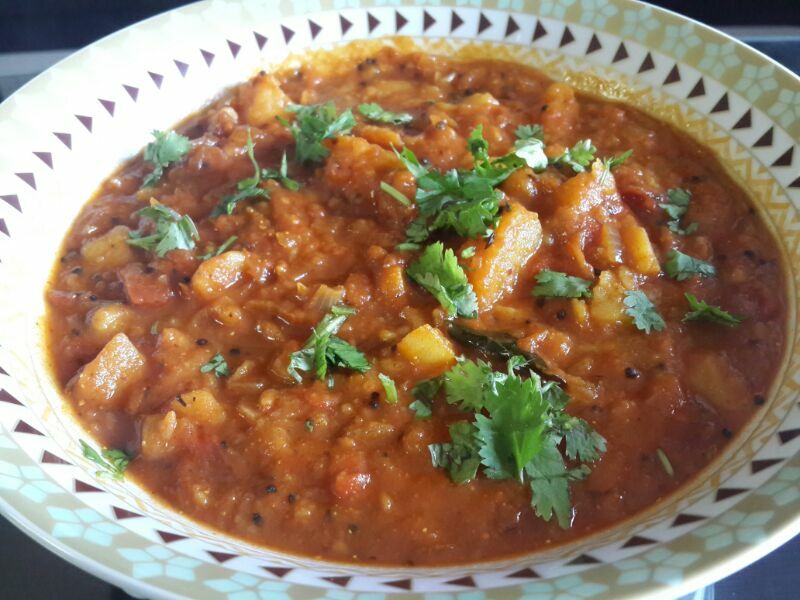 For a simple weekend lunch, I made this spicy and tangy potato curry and served it with some chapatis. A quick assorted salad and raita on the side make it a complete meal. Boil the potatoes in salted water. Let them cool and peel the outer skin, chop the boiled potatoes in cubes. Heat oil in a wok, add cumin and mustard seeds. Once they start to crackle, add red chillies and curry leaves. Let them sizzle for a while, add ginger garlic paste and cook for a minute until the raw flavor diminishes. Add onions and cook them until they are translucent. Add tomatoes and cook them for a few minutes. Add tomato paste to this mixture and cook until it leaves out a ring of oil on the sides of the wok. Add all the dry masalas to this mixture and cook for a minute. 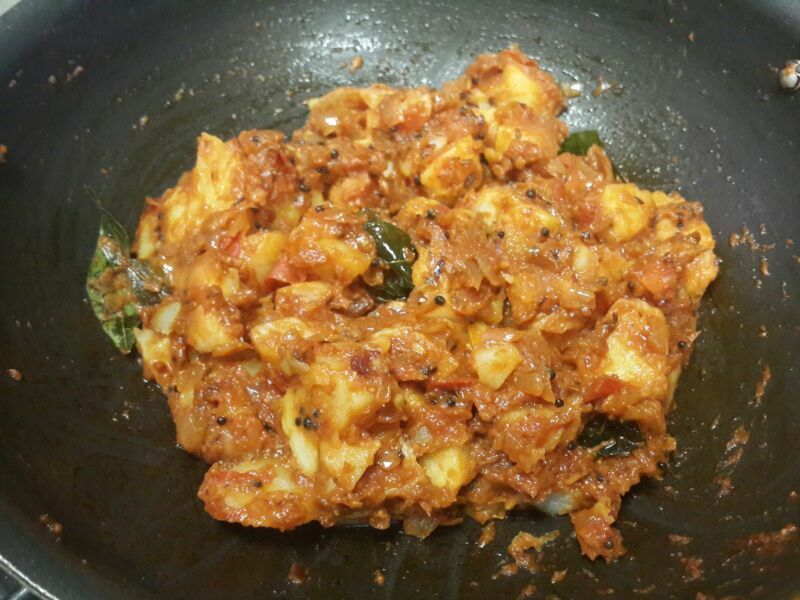 Add boiled potatoes and let it stand in the mixture so that it absorbs the masalas well. Slowly add water to the potato mixture, you can choose to use less or more water as per the consistency desired for the gravy. Cover the wok and let the curry cook for 5-7 minutes on medium heat. Keep stirring the mixture. Take it off the heat and garnish with finely chopped fresh coriander leaves. 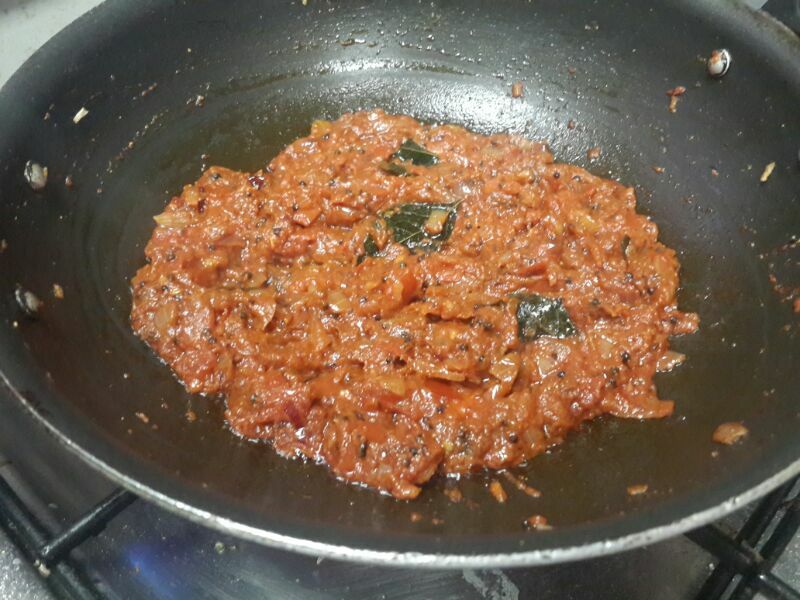 Serve this with rotis or rice as per your preference.